Friday Night was the opening salvo in the No Age Noise Pop trifecta, with a late night appearance at the Bottom of the Hill followed by Saturday night at Brick and Mortar and a surprise Sunday appearance at Vacation, another feather in the cap for the hip vintage outlet on Larkin. 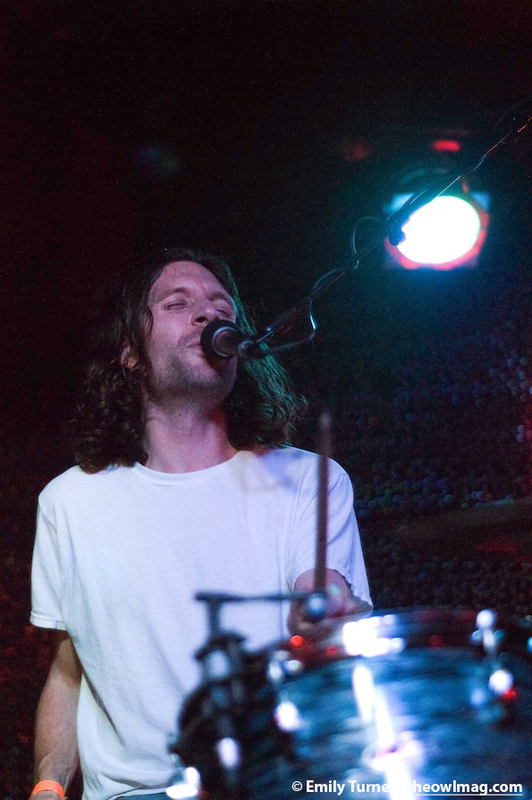 Friday featured a packed bill, heavy on the value for the dollar with support by Creative Adult, Australia’s Dune Rats, and Hindu Pirates, who motored up from Huntington Beach. 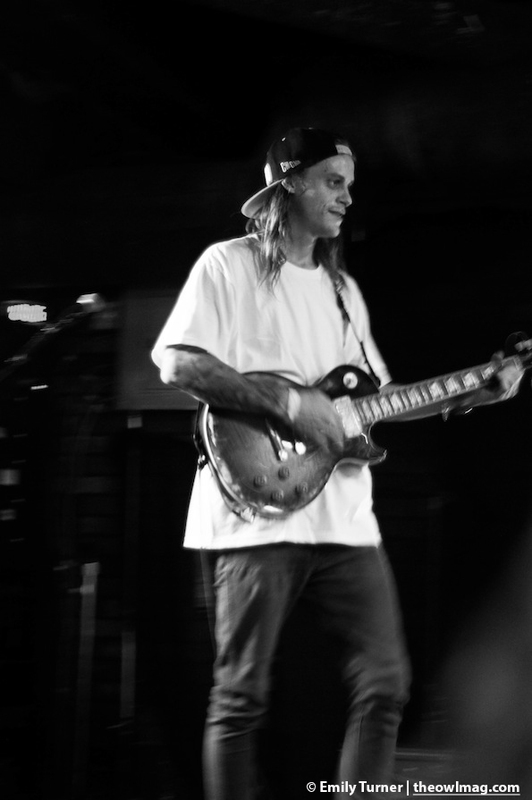 Dune Rats raised the bar with a high energy no nonsense set. 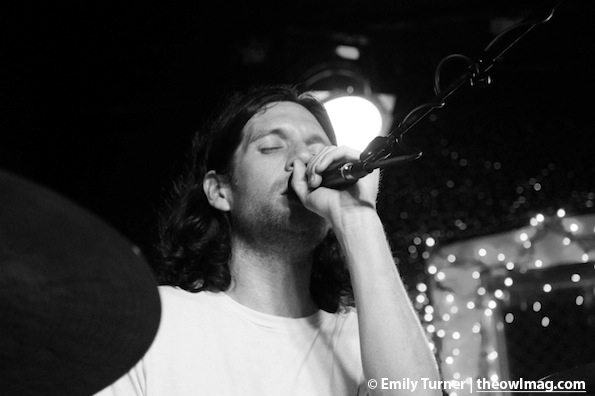 The Aussie trio slots in perfectly with the SF garage rock scene. Riotous and relentless, they’re a band to keep an eye out for. LA’s No Age is an American original like Zippo or Harley Davidson. They keep taking their art noise further, or to cop one of their song titles: “Shred and Transcend”. Trying to maintain a physical relationship with what they produce, the band carried it to a logical extreme with their latest, An Object, assembling all the records themselves. There’s a utilitarian beauty to what they do. No Age builds it and we come. Opening with dynamic squalls of feedback before settling into a groove, the packed in crowd lapped it up. From An Object, “Lockbox” and “Generator” have become live staples. “Teen Creep”, as always, is the ace in the hole, selectively deployed for maximum impact, and the crowd boiled into a frenzy in front of the stage. New father Randy Randall showed none of the signs of the obvious sleep deprivation, bouncing giddily throughout the night. With a strict eye on a specific vision, Noise Pop continues it’s winning streak, presenting a multi-venue fest that showcases both bands and halls. This evening’s winner was Bottom Of The Hill, a cozy joint tucked among warehouses in the shadow of the freeway. Layers of kitsch compliment its offbeat architectural accents, and the fireplace was heaven on this rainy night. The mostly covered back patio has a window that views onto the back of the stage, providing a unique vantage point. Bottom Of The Hill has the aura of a place that locals fiercely protect and contribute to, yet had no problem welcoming the outsider world. 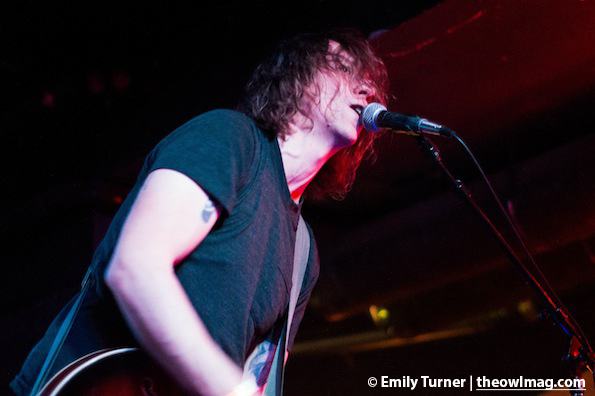 Check out a full gallery of the No Age and Dune Rats at Noise Pop HERE!